As you may have heard, Jamf acquired Orchard & Grove, the makers of NoMAD. With NoMAD, Jamf has an expanded set of leading management capabilities to serve IT as they move to cloud-based identity solutions while ensuring end users have the best possible Apple experience. 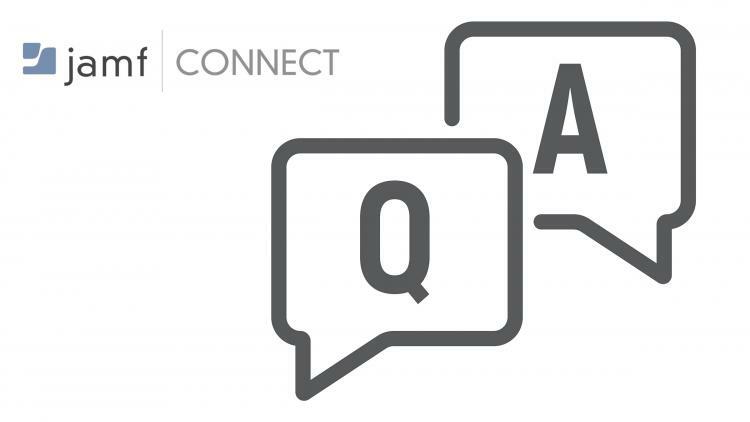 For those looking for a simple way to keep user account credentials in sync between your identity provider and the Mac or Orchard & Grove customers who want to understand what’s next, check out this FAQ. What products are now offered after the acquisition? NoMAD, NoMAD Login, and DEPNotify will continue to be available to the open-source community. Jamf will not only continue to develop the open-source solutions, but will now offer free chat support from our world-class support organization. 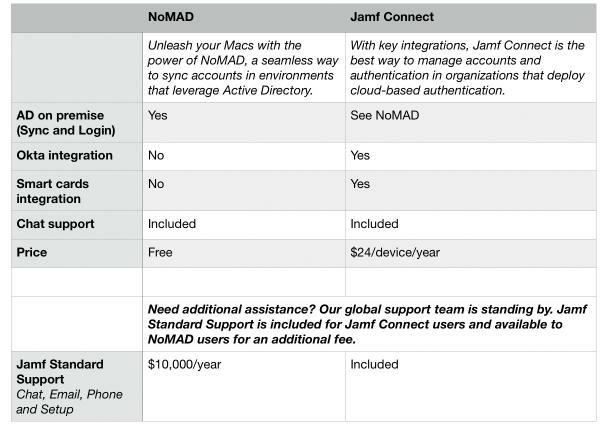 NoMAD Pro, NoMAD Login+ and NoMAD PKINIT are now bundled and sold as Jamf Connect. NoMAD is well established and respected within the open-source community, and as such, will remain NoMAD. The commercial software products (NoMAD Pro, NoMAD Login+ and NoMAD PKINIT) will be sold as a single solution under the Jamf Connect brand. What is the impact to customers of the open-source solution? Free chat support, provided by Jamf, will be available to NoMAD, NoMAD Login, and DEPNotify users. Customers purchasing NoMAD Standard Support will gain access to additional email, phone, and setup assistance. I have a support contract for NoMAD today, what does this mean? Your existing pricing and contract terms will be honored. Your current pricing will be honored for an additional year beyond your contract expiration date. I have a subscription for NoMAD Pro or NoMAD Login+ today, what does this mean? Jamf will continue to develop, enhance and support NoMAD Pro and NoMAD Login+, which will be rebranded to Jamf Connect. Your existing pricing and contract terms will be honored. Your current pricing will be honored for an additional year beyond your contract expiration date. What is pricing for Jamf Connect? Jamf Connect is priced at $24 per device/year (or $2 per device/per month), which includes Jamf Standard Support. Can I get a trial version of Jamf Connect? Yes. If you are interested in a trial, contact your Jamf account representative. Is Jamf Connect available worldwide? Are there any additional setup fees to purchase Jamf Connect? No. Jamf Connect customers receive setup information and then assistance upon request. Does Jamf Connect require Jamf Pro or Jamf Now? No. Jamf Connect does not require mobile device management (MDM), but can be used with any MDM solution. What are the requirements for Jamf Connect? Jamf Connect requires macOS 10.12 or later. Where can I purchase Jamf Connect? Jamf Connect is available from Jamf and any authorized reseller. For more information about Jamf Connect, visit: https://www.jamf.com/products/jamf-connect/.